2 OWNER - RARE CHINA BLUE! LOW MILEAGE! RUST FREE! BUNT CAKE WHEELS, W126 BODY, ORIGINAL BOOKS, ORIGINAL SPARE, ORIGINAL TOOLS, AND MUCH MUCH MORE. GARAGE KEPT. GAS MOTORCARS INC IS A FAMILY OWNED AND OPERATED DEALERSHIP LOCATED IN MARIETTA, GA. WE ONLY SELL VEHICLES OF THE HIGHEST QUALITY. WE DO NOT PROVIDE FINANCING. WE SHOW VEHICLES BY APPOINTMENT ONLY. 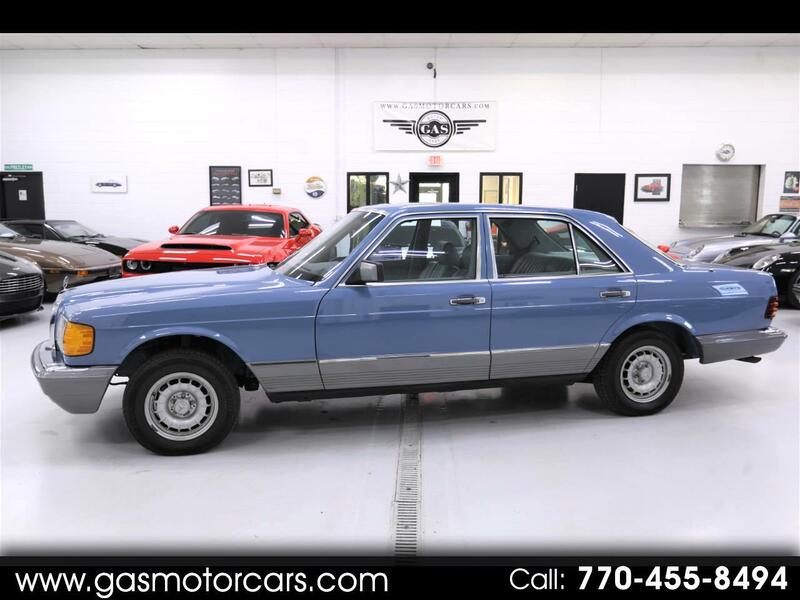 Message: Thought you might be interested in this 1981 Mercedes-Benz 300.